The Internet of Things is, arguably, the biggest talking point in the telecoms industry with its ability to transform everything from cars to healthcare. European Communications and Mobile Europe have teamed up to hold an event for key industry decision makers to discuss the role of telcos in the IoT. Held in London on 8 December, the thought leadership seminar will bring together major speakers from across the telco industry, including from companies such as Deutsche Telekom, Vodafone, Beecham Research, management consultants Arthur D Little and international law firm Harbottle and Lewis. Among the topics that will be discussed are: how operators can position themselves to take advantage of the smart home and connected car verticals; whether the race to develop standards is taking too long to finish; how to navigate through the various different technologies; key learnings about privacy/security; and how to price the IoT. Exclusive research into the sector from European Communications will also be revealed on the day. The Internet of Things provides significant opportunities for telcos. However, it also requires fundamental transformation in terms of strategy and operating model for operators to be successful – moving from "regional connectivity products" to (globally available) solutions and partnerships. Arthur D. Little has worked within multiple vertical segments (from cars and homes to manufacturing and cities) and developed a clear value proposition that telcos need to inherit in order to become successful in this field. How do telcos capture growth from the connected home, and ensure it's not another market they fail to drive growth from. “Deutsche Telecom sees the connected home market as core to its strategy going forward. It has invested significantly over the last few years in building an open connected home platform, leveraging open source software from Eclipse SmartHome, and a growing developer community. The firm is making available its white label platform to other telcos, to utilities, insurers and retailers; and is actively building out a large ecosystem of partners, which currently numbers almost 40." 12.20pm: Globalising the Internet of Things whilst treating devices individual needs. What is not generally understood about M2M devices is a large proportion will be deployed outside of their home network. This presentation looks at how permanently roaming M2M devices are fundamentally changing network requirements globally. It also questions whether today’s undifferentiated services are what is required to serve the diverse requirements of machines. How can telcos effectively acquire, monetise and retain IoT customers through pricing when these goals often conflict? Jon leads Business Development for Deutsche Telekom’s white label and open connected home platform, with a specific focus on the UK market. Successfully launched in Germany in late 2013, Deutsche Telekom’s open platform is now available internationally, with a principle focus on Europe. Deutsche Telekom’s platform has been designed to move the industry beyond simple control of connected devices, to create a foundation for new revenue generating services. Jon has worked in and around the connected home space since the early 2000s, and has a deep knowledge of the UK and European market, and in particular what will finally drive growth in this market. He has previously consulted for both E.ON Group and RWE UK on their connected home strategies, including the latter’s partnership with Google’s Nest. Caroline co-founded Rethink Technology Research in 2002 to focus on emerging mobile technologies and their impact on operator business models. 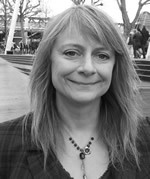 She has been analysing and reporting in the hi-tech industries since 1986 and has a huge wealth of experience of technology trends and how they impact on business models. She started her career as a technology journalist and then took senior roles in online publishing and research before focusing full time on wireless industry research and consultancy. At Rethink her role has been to head up the wireless side of the business, leading the creation of research, newsletters and consulting services focused on mobile platforms and operator models. In this role, she has become a highly recognized authority on 4G systems such as LTE, and carrier network strategies such as HetNet, and a prolific speaker at industry events. Consulting and research clients come from major mobile operators, the wireless supply chain and financial institutions. 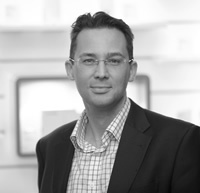 Luke Ibbetson is Vodafone Group’s Director of Research & Development. He has been with Vodafone since 1996 and is now responsible for all aspects of network and IT research including the Group’s participation in international standards, definition of the architectural blueprint for future networks, trials of emerging / disruptive technologies, the evolution of mobile security and long term spectrum requirements. Luke led Vodafone’s exploration of alternative access solutions “beyond 3G” and is now shaping Vodafone’s 5G strategy. Graeme Neill has been a news journalist for more than ten years, beginning his career in Belfast with The Irish News. Since moving to London in 2005, he has covered debt capital markets for Euroweek, the publishing industry for The Bookseller and the UK mobile phone industry for Mobile. Outside of work, he likes to buy more books than he has time to read and also spends a lot of time watching films - anything arthouse or with car chases and explosions (preferably bringing together all three). Matthew joined Nave in October 2015 and is responsible for business development and communications. In addition he contributes to future product and business strategy for Nwave. Matthew has experience in sales and marketing leadership in the wireless semiconductor industry. This includes cellular systems and wireless connectivity, through GPS and telephony. Matthew has wide ranging experience with RF, mixed signal and SoC semiconductor devices . He has held senior positions at Dialog Semiconductors, CSR Plc, CML Plc and Philips Electronics. Matthew holds a BSc in Electronic Engineering from the University of Keele in the UK. Guy leads the Marketing and Partnerships function of Starhome Mach. Recently he launched the company Internet of Things portfolio to market addressing the need of operators to offer differentiated global service to Machines. Guy joined Starhome MACH through the acquisition of MACH Clearing in 2013. He has lead Marketing and Partnership functions for many years and has a broad experience across Innovative startups, Tier 1 Operators, and major vendors. He has worked across Mobile, Fixed, and Cloud based providers in technologies as diverse as fiber optic transmission, policy control, messaging, Clearing & Billing, and of course now the Internet of Things. Guy is a qualified Engineer and member of the Institute of Engineering & Technology (IET) and the Chartered Institute of Marketing (CIM). Ansgar Schlautmann is the Head of the global competence center "Innovative Business Designs“ within in Arthur D. Little's TIME (Telecommunications, Information, Media and Electronics) practice, which supports companies to adopt and profit from emerging technologies and business models. 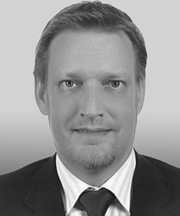 For the past 18 years, Ansgar has worked for large international telecommunication companies as well as media and internet players He is in charge of the growing IoT (Internet of Things) ecosystem services and has done multiple projects in this space, primarily focusing on the emerging ecosystem development and business-models required for Smart Cities, Connected Cars and Smart Buildings. 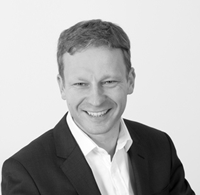 Phil joined Vodafone in July 2013 as Head of M2M Business Development. He is fully responsible for developing M2M solutions and capabilities on a global basis. "M2M adoption will continue to accelerate with smaller organisations being able to harness the advantages of M2M technology to drive greater efficiency and value for their customers. As Head of Business Development for Vodafone M2M, I’m particularly excited to play a key role in developing this important application area" he says. 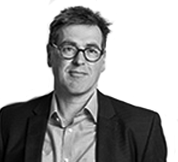 Phil has a wealth of experience in a broad range of industries including defence, FMCG and media. Prior to joining Vodafone Phil was responsible for Markets and Portfolio within the Siemens Infrastructure & Cities organisation. Prior to that he held the position of Director Electro Mobility for Siemens and has worked for a number of well-known blue chip organisations including Landis + Gyr and Mars in the UK, USA and Switzerland. Patrice Slupowski is Vice-President Digital Innovation running the open-innovation corporate product marketing team of Orange, in charge of several projects around APIs, Internet of Things, mobile applications & mobile OS, personal data aggregation, privacy or emerging technologies. Patrice Slupowski is a marketing expert in social networks, social & connected TV, wellness & personal data services and mobile multimedia services. He founded a start-up called Waptoo in 1999, one of the first companies to believe in the opportunities around mobile data, creating WAP and mobile services and proposing some automated mobile testing software, for companies and telcos, which has been acquired by Lagardere Group. Patrice has been involved in digital space from the very first minute, and has been permanently connected since 1990. Patrice is a graduate in Information Science and Technology from Paris-Dauphine University. Daniel leads the commercial technology practice, working with companies from start-ups to multinationals in relation to intellectual property, technology, data protection and commercial issues. He is passionate about helping businesses to create, implement, launch and deliver innovative products and services. Originally in private practice with Macfarlanes, Dan joined Vodafone in 2004 and spent 9 years there in a variety of senior legal roles, supporting business units dealing with content acquisition, research and development worldwide, technology infrastructure projects, global mobile handset supplier relationships and global consumer service propositions. Dan was also the key legal advisor in the negotiations which brought the iPhone and iPad to Vodafone UK and across the world. 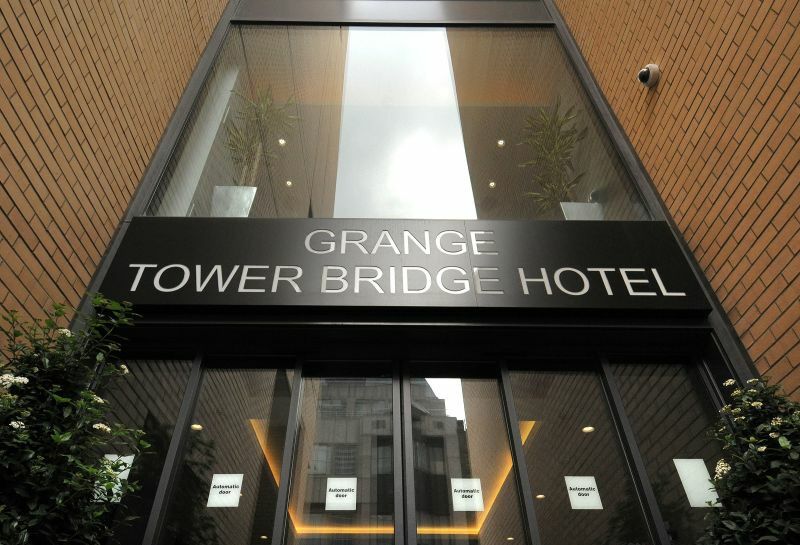 This full-day conference will take place within the Grange Tower Bridge Hotel.